Tartar removal is important for healthy teeth and gums. Tartar is a hard yellow colored deposit on the teeth. Tartar is made up of a variety of materials including minerals, food, as well as other types of materials that get onto the teeth and become very hard if left on the teeth. Once tartar begins to form you will not be able to brush it off, as it is too hard so the toothbrush will simply go over it without removing it. The longer you go without removing the tartar, the more it builds up, it will continue in a cycle. When you have tartar buildup you will begin to see hard yellow deposits on the crowns of the teeth. In addition, tartar can build up on the gums and beneath the gum line, which is nearly impossible to remove. When this happens it can lead to gum disease such as periodontal disease. This will also lead to the growth of bacterial that can cause infections and pain. There are two types of tartar, or calculus as it is also known; supragingival, which is tartar that develops above the gum line, and subgingival. The latter is the type of tartar that develops in the pockets between the teeth and gumline. This is also the type of tartar that is the most damaging. The cause of tartar is an excessive buildup of plaque. When there is plaque that remains on the teeth it will eventually harden into tartar. When this happens the tartar removal usually has to be done by a dentist. Removing plaque can be very difficult, which is why it is important to leave it to a professional The gum must be pushed out of the way so that the tartar can be scraped away from the tooth. It is important that even the smallest pieces of tartar be removed so that the tartar does not continue to buildup. Your dentist will use a special tool to scrape the tartar away from the teeth and ensure there is none left to cause you further problem later. Once you have gone to tartar removal the dentist will then polish your teeth, which will help to ensure there is no tartar left on the enamel, plus it makes the surface of the tooth smooth, which will help prevent new tartar buildup. 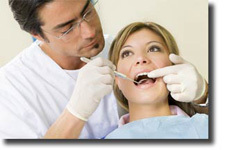 Removing all of the tartar and polishing the teeth is very important to helping prevent the development of gum disease. Unfortunately you cannot use tartar control toothpaste as a means of removing tartar buildup. What this type of toothpaste does is help to prevent plaque from hardening into tartar, but it will not remove it once it is already there. Although regular use of tartar control toothpaste has shown to reduce tartar buildup by as much as 36 percent, it does little to help prevent the tartar buildup below the gums. For this reason, even if you use tartar control toothpaste you should still see your dentist on a regular basis for tartar removal. Preventing tartar buildup is your best defense against developing gum disease and cavities, which in time will lead to tooth loss. To help prevent this from happening you will want to see your dentist at least every six months for tartar removal and teeth cleaning procedures. You can also brush with a tartar control toothpaste. If you plan on having any cosmetic work done on your teeth, such getting your teeth whitened, you will first want to have them cleaned and all the tartar removed. This will go a long way in getting better results for your cosmetic procedure.